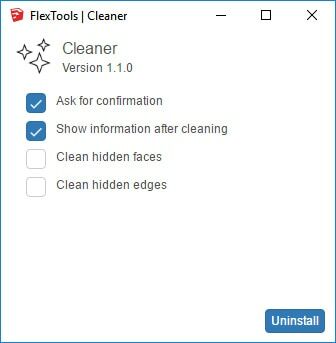 Cleaner deletes all hidden sub-components within a selection. Can delete hidden faces and edges as well. Can be used on any type of component (not necessarily a dynamic component). Can dramatically reduce component file size. 📌 This is a destructive action! Zapper erases sub-components that may be essential to the healthy workings of a dynamic component.